Max Verstappen avoided the first lap drama to ease to his second win of the season at the Mexican Grand Prix. Overtaking pole sitter Sebastian Vettel at the first corner, Verstappen raced away as the German then collided with title rival Lewis Hamilton, sending both cars to the pits at the end of the first lap. Quickly building a big lead to Valtteri Bottas in the other Mercedes, Verstappen took his third win of his career, and second win in four races. 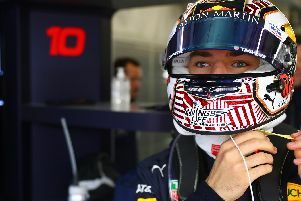 While Verstappen was unchallenged throughout, it was a different story for team-mate Daniel Ricciardo, who retired after just six laps with a turbo failure. "This was the perfect race," he said. "I was cruising. (All the drama at the beginning) was great for me!"